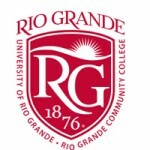 The University of Rio Grande/Rio Grande Community College has one of its largest freshman classes ever on campus this fall. The freshmen class increased by 41 percent over last year, as Rio Grande has 1,374 freshmen on campus this fall, compared to 977 last year. This class is following three straight years of setting records for the largest graduating classes ever and shows the tremendous growth Rio Grande is seeing. The overall enrollment at Rio Grande is 2,477 students. “We did a lot of aggressive recruiting over the past year,” said Barbara Hatfield, Ph.D., interim provost/vice president for academic affairs. “We also improved the way we packaged financial aid for our students.” All Rio Grande students have the opportunity to receive financial aid, and the tuition rates are very affordable. “We also have a safe campus environment,” Hatfield said. In addition, Rio Grande has added new academic programs in recent years such as in allied health, Hispanic studies, archeology (which Rio Grande offers on the Hocking College campus), wildlife and fish conservation and management (also on the Hocking College campus), a cardiovascular concentration in the sonography program, a bachelor’s degree program in sonography and a master’s of business administration (MBA) in entrepreneurship. Rio Grande officials are currently creating plans for additional programs. “Our coaches have also done an excellent job of making spots for additional athletes on campus,” Hatfield said. The athletic department has created additional teams in recent years, which has opened up new opportunities for students to play college athletics. In addition to creating the new MBA program, Rio Grande has also added to its master’s of education in classroom teaching program. For instance, Rio Grande students in the master’s degree program are now able to take classes from the Southern State Community College campus through the use of video conferencing, instead of having to drive all the way to Rio Grande. Along with the huge freshmen class, Rio Grande has also seen an increase in students living on campus. The residence halls are all nearly full, which has added to the lively campus environment. “It’s been great,” Hatfield said about having all of the students on campus. Mark Swann, executive director of admissions, pointed out that while the freshmen class is so large, the majority of students still come from the four county district of Gallia, Jackson, Meigs and Vinton counties. “The largest group of students comes from Gallia County, followed closely by Jackson, then Meigs, and then Vinton County,” Swann said. Rio Grande also has students from 16 different countries are studying on campus this fall. Swann said that while the enrollment is growing, students are still attracted to the smaller classes and personal attention they receive at Rio Grande. “It’s a place where everybody knows your name,” Swann said. He added that the opportunity for every student to receive some type of financial aid is also attracting new students, along with the high quality of the growing academic programs. The Rio Grande admissions counselors have done an excellent job of telling students about all of the opportunities available at Rio Grande, Swann said. In addition to attracting students from the four-county district, the institution is also bringing in a large number of students from the Columbus area and all around Ohio. The freshmen class also has students from 13 other states, with the largest groups coming from West Virginia and Kentucky. Rio Grande is now developing a new strategic plan to best deal with the increased enrollment this year, and the expected increases in future years. The campus is already expanding its facilities, highlighted by the expansion project currently going on at the Davis University Center. Swann’s admissions counselors are already out spreading the word about Rio Grande to high school students across the region looking into colleges for next year, and Swann said the goal is to increase the 2008 freshmen class by an additional 10 percent. For more information on the increased enrollment at Rio Grande, call the admissions office at 1-800-282-7201. For additional information on the wide variety of academic and professional programs offered by Rio Grande, log onto www.rio.edu.